Akarshan Mahapooja is for enhancing attraction powers. Helpful for those who wish to charm others with their magnetism and obtain favors. It also help to make good impression on others and to win affection and friendship in their hearts and minds and Creates a protection shied around the person so that no negativity affects him. Pooja service includes: Sthapana (Ganesh, Devi, Navgraha Kalash, Brahma), Swasti Vachan, Sankalp, Ganesh Poojan, Navgraha Pooja, Invocation of major Gods, Brahman Varn, Vashikaran mahayantra poojan, Sudharshan Gayatri - 125,000 chants (this removes negativity), Kamadeva gayatri - 125,000 chants (to enhance attraction powers), Krishna Gayatri - 125,000 chants (for desire fulfillment), Havan, daily brahmin bhojan. 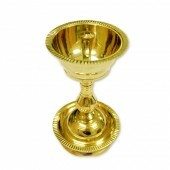 PoojaShopOnline.Com priests will perform yagna as per vedic rituals based on birth details. The pooja prasad, energised Vashikaran Yantra and photos will be sent to you through courier. Please mention your birth details (name, date, time, place) at checkout. 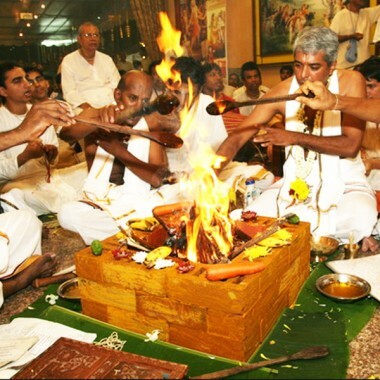 This is a individual yagna (you may do pooja on individual name or include your near and dear ones in the pooja). You will be provided with the contact no. of the priest, to call during the sankalpa/yagna. You need to install the energised Vashikaran Mahayantra in your prayer altar in home/office for continued blessings from the energised yantra.